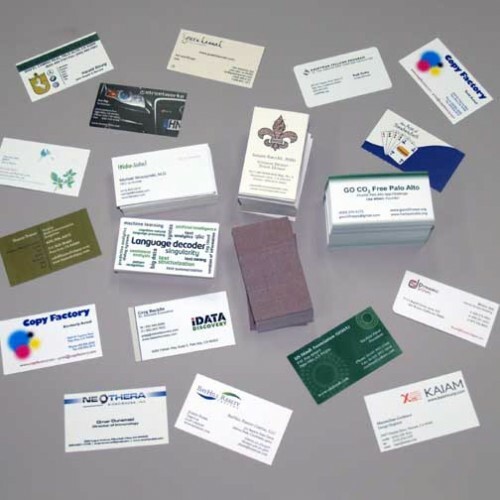 Short run digital business cards with a quick turnaround. Print cards in color or black & white, single or double sided. Choose between a number of appropriate paper stocks. Same day service available for local and visiting clients (in by 10 a.m., out by 4 p.m.). Longer run and specialty printing options available but they take more time and cost more. Let us know your specifications and we'll get back to you with pricing and timeline. Contact us for quotes on multiple name or corporate card projects.